There aren’t many horror games currently out on PlayStation VR. Until Dawn: Rush of Blood is fantastic (review forthcoming) and Here They Lie seems interesting, though I haven’t had a chance to try it for myself yet. With Resident Evil 7 still a couple months out, it’s slim pickings for the horror enthusiast in me. 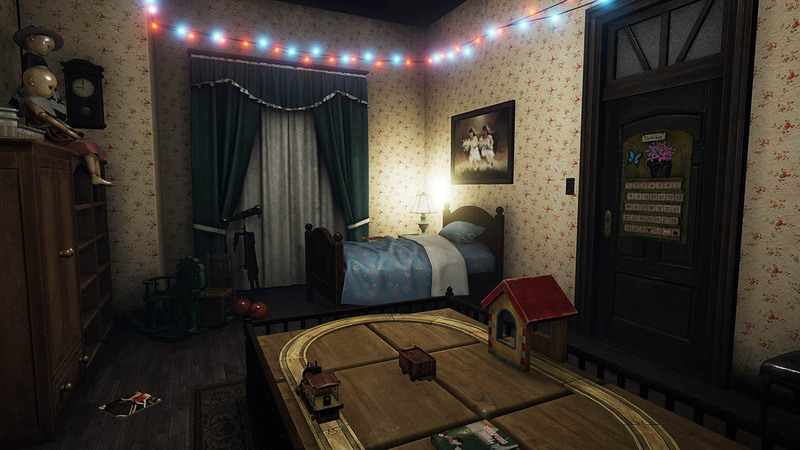 In walks Weeping Doll, a horror-puzzle game set in an empty house with creepy-looking dolls throughout every room. Creepy dolls and horror go together like peanut butter and jelly, what could go wrong? Your role in Weeping Doll is that of someone who seems to be employed by the family residing within the house, my best guess is a sitter or perhaps a maid. It’s information that’s mostly relevant in the fact that you’re clearly familiar with the family, especially the two daughters. The house itself has many rooms to explore, an upstairs with a long winding hallway, hidden passages, and a dark secret to uncover. That said, progression is pretty linear with the majority of pathways blocked until a simple puzzle is solved. The passages that are blocked only unlock in a certain order, which leads to a more guided narrative that unfolds as you continue to explore the house room-by-room. The puzzles are all pretty simple with nothing in particular that stands out. It’s just a lot of interacting with objects, putting certain pieces together, and finding keys to unlock doors. There’s an inventory system with plenty of space, but it’s almost never used. Weeping Doll shows some undeniable promise in the fifty or so minutes it’ll take to complete. There’s a clear effort to exhibit some creepy imagery with a young girl peeking at you from behind corners, and there’s actually some mildly interesting buildup in regards to what dark secret is hidden within the family. Except it leads nowhere, there’s a moment where an *event* takes place late in the game and it really feels like a big revelation is about to spring forward. It feels like the game is building towards something and then – it ends. Not only that, but it’s likely you won’t even realise it ended because there is no actual ending. After twenty minutes of wandering around the house, unsure of where to go next, I opened up the trophy list, only to see one for “Finishing the Game”. What? Where was the ending? What about all of that *stuff* that happened, how it seemed like we were building towards *something*? No, the game simply stops and there’s nothing left to see, but the credits hanging on the wall in the foyer. Instead of direct control over your character, Weeping Doll has you move a ghost-like image of yourself around the room to determine where you’d like to teleport to. I’m still new to VR, so this control method still takes some getting used to, but it gets the job done. Aside from that and some decent 3D audio, the game doesn’t really do much with VR or motion controls. You can certainly look around from wherever you’re standing, but I didn’t really feel like I was there in any way. Horror especially should be something that’s ripe for taking advantage of VR in all sorts of interesting ways, just not Weeping Doll. There’s nothing all that scary about Weeping Doll; any sort of creepy imagery just tends to fall flat and the game’s voice acting can, at times, make the game feel more comedy than horror. 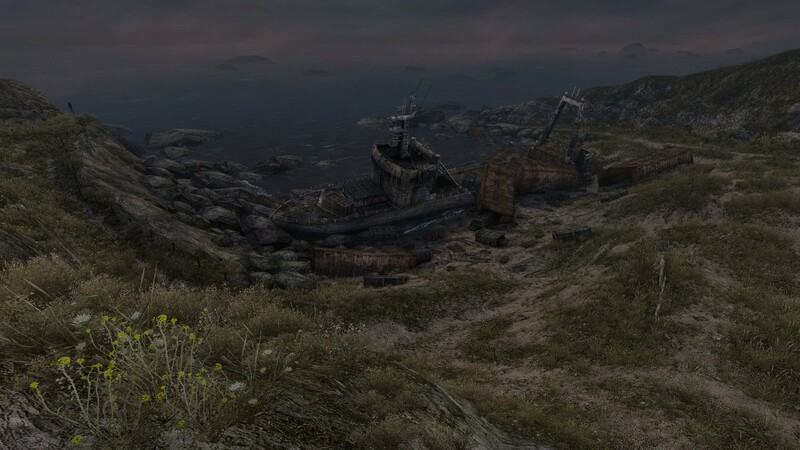 The game’s lack of an ending didn’t disappoint me, it just left me bewildered. The headset came off, I shrugged my shoulders, and just moved on. The general aesthetic of the house is pretty interesting.